Will she, or won’t she? 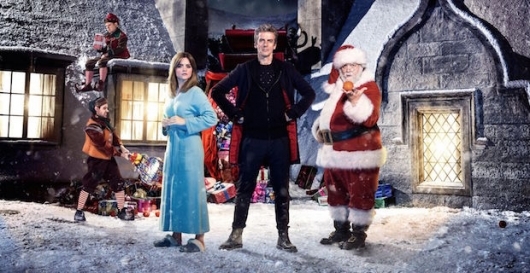 That is the question hanging over “Last Christmas,” the Doctor Who 2014 Christmas Special. Does Jenna Coleman as Clara Oswald stay for Series 9 or not? Real world considerations like contracts aside, there is unfinished business between Clara and the Doctor from the end of Series 8. There was the overt problem of Clara wanting her traveling life with Doctor, but a more challenging career as a teacher and a more settled home life with Danny Pink at the same time. Underneath all that was the problem that Clara and Peter Capaldi‘s Doctor were thrown together about a year ago and they’ve tried to get along as best as they can. Knowing what they now know, do they want to continue or just let it end? The end has finally come and with it, reckoning. A number of threads were left hanging after “Dark Water” last week. What is Missy/The Master planning? Is Danny really dead? What will happen to Clara? 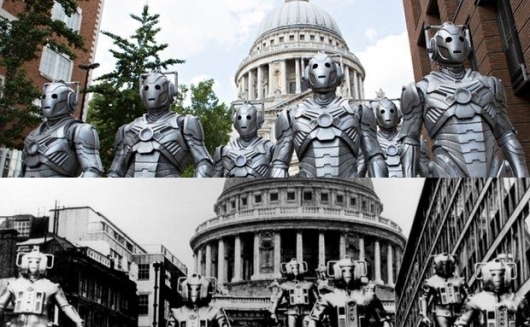 How do the Cybermen fit in? It was all a bit of a mish-mash. It was difficult to see where the dramatic payoff would come from, and how it would finally let viewers look back at this season’s story arc. While I believe this final episode, “Death In Heaven,” competently checked off all the boxes and answered everything, excellence came only in flashes. Michelle Gomez is responsible for much of it. The scene in which Missy finally pulls back the curtain to reveal the reason for all this to the Doctor comes to mind. The sequence between Missy and Osgood is also quite chilling. The rest of it merely services the arc. Give some credit to Steven Moffat for turning the Cybermen into zombies, and then a platoon of soldiers, but that’s all they are. Likewise, Danny’s part in the finale all fits, but it’s nothing spectacular for all its final flash. In all, it’s been a quality season that set the bar high. This finale meets that bar, but does not dramatically surpass it. What a difference a week can make, or a writer can make. After coming through an episode like “In The Forest Of The Night,” where everything felt like it was on unsure ground in terms of character and motivation, here we are on bedrock once again. Odd bedrock it is, however. The blows come fast and furious: first there is a death, then a betrayal, and then a mystery. Finally, the little snippets of the Missy story that we’ve seen make sense, and we know who Missy is. 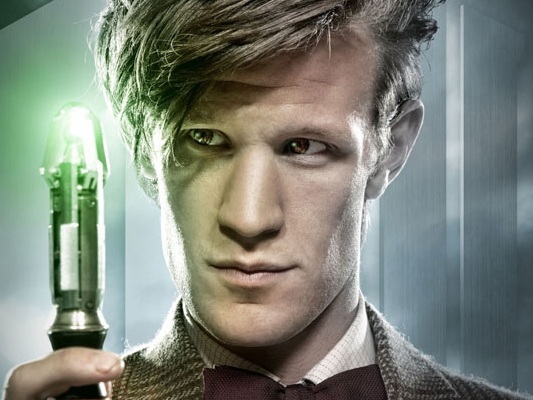 Now whether you like what you see in this episode comes down, as it often does, to whether you like Steven Moffat‘s brand of storytelling on Doctor Who. In his favor, the trademark cleverness is here, and the economical knack for character. We definitely now understand how the crumb trail was left for us, the audience, across the season. The condensed plotting and the penchant for odd ideas that drive parts of the audience nuts are present here too. 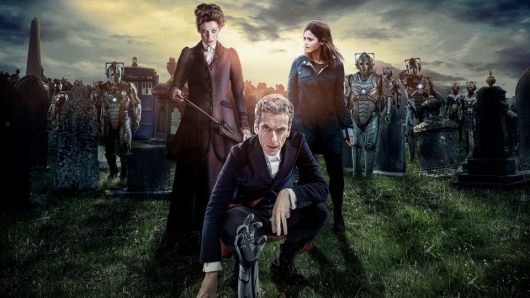 The fifth series of the BBC television show Doctor Who is a refreshing take on the now classic time-traveling adventures of The Doctor and his companions. New show runner Steven Moffat successfully reinvigorates the spirit of every iteration that came before while not alienating newer viewers. Moffat does this by including many subtle visual references to the past Whovian story continuity, the first of which is featured at the end of the series opener The Eleventh Hour in the form of an homage to the ten previous incarnations of The Doctor. 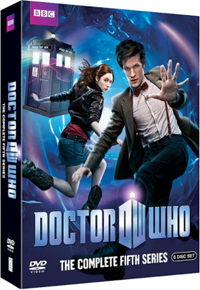 For children, casual, and new viewers the story opens with a young Amelia Pond who discovers a crashed TARDIS in her garden and a strange man willing to inspect the eerie crack on her bedroom wall.